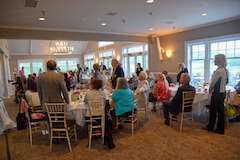 We’ll all have the chance to come together on Tuesday, May 21st 2019 for the Annual Dinner of the Rochester Chapter of HLAA. From 6:00 to 9:00 pm, we’ll get to know our scholarship winners and their families. And, recognize just some of the people who make a difference to our Chapter in the Rochester area by presenting three awards. The Cobblestone Creek Country Club has done a superb job in past years with service, hearing accessibility and scrumptious food. You will enjoy being part of this fabulous evening! Please sign up by Thursday, May 16th using the form included here. We hope to see you there! 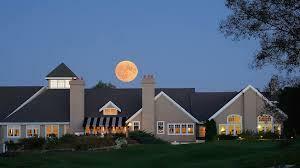 Cobblestone Creek Country Club 100 Cobble Creek Road, Victor, NY 14564 6:00 to 9:00 P.M. Questions? Please email, or call, Sue Miller at [email protected]; or phone,585-924-8933. IF YOU WILL BE VOLUNTEERING AT THE CONVENTION PLEASE USE THE CONVENTION REGISTRATION FORM HERE AND FOLLOW THE INSTRUCTIONS YOU SEE ON THE PAGE. Our chapter has a number of Committees in which you may be interested. Members are welcome to sit in on a meeting to see if it suits your interests. None of the committees require a huge committement. Contact us to find out more about the committees we have...you may find a match. Interacting with other people with hearing loss where communication is taken into consideration can be a big stress reliever. Feel free to sit in on a meeting...you will be welcome and not be pressured! Q. Did the nature of sounds/speech when your CI is first activated and if so did that changed over time? A.When my CI was activated virtually all sounds sounded like static. I had a very difficult time recognizing what the sounds were and their location. All voices sounded similar and had a cartoonish quality. Improvement began rapidly and within a few weeks the results were stunning. I continued to improve for the next 12-18 months. I practiced hearing using the radio, tapes and discs and within a few months was able to function at a much higher level than I had at anytime using hearing aids. Q. What was your hearing like after your implant compared to using hearing aids? A. For me, the CI has been a great leap forward from hearing aids. With it, I function very much as I did prior to experiencing hearing loss. I’m completely confident in almost any situation. Q. Although this may difficult to know, do you feel there is a difference in the way you are treated by hearing people when they know you have a CI compared to a HA. Of course if the HA and the CI aren’t visible this question may not be answered but family and close friends would know. Meet others with hearing loss. Become involved in the Chapter to your level of comfort and time. Are you interested in meeting other Chapter Members? Would you like to help other people with Hearing Loss? You are always welcome to come to any of our Committee meetings and our Assistive Listening Device Demonstration Center to find out more of what goes on "behind the scenes". There is no commitment to join any committee, participate at any level....or not. There is no obligation! ​ Contact us for more information. feel free to change with another board member. Note that members can bring matters to the Board of Directors attention and can attend meetings. Only elected Board of Directors may vote. Tues. April 9 BOD (Board of Directors) 7-9pm – Al Sigl Center, Elmwood Ave.
Thurs. April 16 PAC (Professional Advisory) 7-9 pm, Al Sigl Center Elmwood Ave.
Meet and enjoy the company of others of your age who have hearing loss. serving those with hearing loss.